Dadesho's Bndp: "Traitors Will Not Succeed"
The problem of medicine for Assyrians in North Iraq can be summarized in one word - access. The problem of that other necessity of a civilized society-technology-lies more in implementation. Computers and their hard and software for example, are pretty much readily available, with the odd exception. Even in the rare case when they cannot be found, parts can at least be sent from overseas. The difficulty lies in getting trained staff to put all the bits and pieces together and using them-and eventually training others. For those living in cities, access to good medicine is similarly pretty straightforward. For simple problems, doctors in the North itself are visited. When more specialist attention is needed, in particular surgery, Assyrians tend to travel to the larger cities further south, such as Nineveh or Baghdad. For Assyrians living in isolated villages, though, the dilemma lies in simply getting to a doctor, any doctor. While this problem is seen throughout North Iraq, I felt it most acutely in my 10 day visit to Nahla. Here is a region that for the last eight decades has been isolated from mainstream society by difficult terrain. It was only recently that the Assyrian American National Federation through the Assyrian Aid Society-Iraq (at great pains I might add), brought electricity to the area. Prior, the villagers lived by the lights of kerosene lamps and had no modern amenities whatsoever. The roads leading into Nahla are extremely rough. Access to the area is via three roads, one of which was built entirely by hand by the villages' men, backbreaking work that took months to complete. They were greatly assisted in this monumental task-both financially and with man-power - by the Assyrian Democratic Movement. But only tractors, sturdy four-wheel drives or horses can benefit from these roads. It takes at least a good half hour of very rough travel by an experienced driver to negotiate them - once through, the closest medical attention is about an hour away in Aqra. Imagine if a patient needs to be urgently evacuated from Nahla. Which is almost what happened to me. I got a first-hand experience of what it is like to be a patient in Nahla, and believe me, it is not something I would wish on anyone. On the tenth day of my stay in Nahla, I developed high fevers and rigors and had to go to Aqra. In the "land-cruise" (the locals' term for four-wheel drives) with me were a young girl suffering gastroenteritis and a vaguely, generally unwell middle-aged lady. I thought the roads were rough and nausea-inducing when I was well, let me assure you, they seem a hundred times worse when you are sick. Every bump and crash sent waves of nausea through my body. The unfortunate young girl with us must have felt even worse. We had to stop every five minutes for the poor girl to throw up. I shuddered to think what someone with trauma, appendicitis or a snake wound would have to go through. And apparently we had it good. It was summer so the roads were accessible. Had it been winter, we would have to have made the journey on foot across a mountain, the best part of the roads being covered more than knee-deep in snow and sludge and inaccessible even by the best land-cruise. So, in other words, if you are sick and it is winter in Nahla, you can very nearly forget about seeing a doctor. The solution is simple, I hear you say: get medicine into Nahla, rather than the patient out. I wish it were so straightforward. The residents of Nahla have had access to no medicine for the last five years. The mountains of Nahla hold unknown numbers of members of the former PKK, a now defunct group since it lost its leader, Abdul Oçalan. Needless to say, the Assyrians of Nahla have no ties whatsoever with this party. Massoud Barzani's Kurdistan Democratic Party (KDP)- enemies of the PKK - claims that any medicines brought into Nahla could be used by members of the PKK, a clearly preposterous argument. The whole story is even more suspicious given that the feud between the PKK and KDP is now formerly over. At a checkpoint between Aqra and Nahla our vehicle was stopped and, without informing us nor our prior permission, our belongings were opened and searched in public. The border-guard was looking for any medications we might happen to be "smuggling", I was later informed. Their search turned up negative for drugs, but my video and camera equipment got a good going over. (I was allowed to bring in this camera equipment. Another Assyrian earlier in the week was turned down because "the camera could be used by the PKK." Everyone knew there were two weddings in Nahla that week). "You need to see the Sheikh of Sherman before we can let you through," said the burly, grim-faced border-guard. A group walked to see the Sheikh of Sherman. We were "allowed" through. The most at danger from these cruel policies - and it would not be overstating the case to say they are human rights abuses - are the very young and old. In a country where even something as basic as water-sanitization is a foreign word, diarrhoeal illness is common. A child I saw was mildly dehydrated from gastroenteritis and the sweltering heat, a problem which can easily get out of hand and threaten a child's life. Another infant I saw had just suffered a febrile convulsion from out-of-control high temperatures. Fortunately he was cooled down in time enough to have prevented further fits, but with no medications at hand, a prolonged fit could have endangered this child's life too. Needless to say, the people of Nahla are weary of all this excessive and pointless red-tape, for issues which, at the end of the day, they play no part in. Yet, they are steadfast in staying in their villages despite all these difficulties. Nahla's villages are in many ways symbolic of the plight of countless villages of North Iraq. They are isolated and urgently need to be modernized. They seem to have been not only neglected by successive governments - from those of the monarchy, to the Baath, to today's Regional Parliament, the majority of which is Kurdish - but, as we have seen, almost deliberately enfeebled by laws and policies that severely prejudice a community. I'm no great believer in conspiracies, but there is clearly more than meets the eye here. The solution is to not wait while the policies of the KDP endanger the villages. Legal action is necessary and one part of the answer. The other is to assist the Assyrian Aid Society and other charitable organizations to continue their work in empowering the locals. While stop-gap measures like occasionally sending a doctor and pharmacist to Nahla buys time(1), what villages need is more permanent, tough courses of action. The villagers are an extremely robust, hard-working group of people who have survived an untold number of man-made disasters. All they need is the financial support to stimulate their prosperity. Conditions in a region like Nahla, for example, would improve drastically with a proper, asphalt road. Once they have a road, the way is literally open to further modernization -a medical center would be the next step with, if not a doctor, then at the very least a nurse-practitioner/"medical assistant". The local economy would be boosted, with the farmers being able to sell their produce on local markets. The benefits are endless and cumulative. According to a local civil engineer, the cost of a road network would probably not exceed $U.S. 50,000. Truly a small price to pay for such large benefits. Dr. Sennacherib Daniel, M.B. B.S., F.R.A.C.G.P. 1- No doctor or pharmacist or medications have ever made their way to Nahla, but in late June this year, members of the AAS-Iraq (AAS-I) - Dr.Yosip, medical assitant Mr. Shmael - and the AAS-Australia (AAS-A) visited Nahla's residents. After much red-tape and discussion between the AAS-A/I and the KDP and their border-guards, the medical team was allowed through. The story of Gonda Kosa is a story of the Assyrian nation. Its trials and tribulations during the 20th century closely mirror the plight of the Assyrian people themselves. At the start of World War I the fierce and independent Tiyari tribe, along with the other tribes of the Hakkiari Mountains were driven out of their mountain strongholds by the Turkish army during the Assyrian genocide. The people from lower Tiyari's Bne Gipa clan were homeless and destitute and temporarily settled in Mayeh village in the Barwar region where they were to remain from 1914 to 1916. They next moved to Male Arab, a village near Zakho, for one and a half years. The next stop was in Ashunkee village in the Doskee region, where they were to stay from 1917 to 1922. The Bne Gipa clan however remained restless. They were tired of sharing villages with other Assyrians. They had patiently waited for the end of the War with the hope that they would be allowed to return to their original homelands in the Hakkiari Mountains. The British betrayal of the Assyrians meant that they needed a new land of their own where they could establish a new village and where they could permanently settle. In 1922 around eighty families from the Bne Gipa established 3 villages on a remote track of empty land alongside the Khabour River in North Iraq. The 3 villages were Gonda Kosa, Gonda Naze and Hara Kunda Sindy. Here they were to stay and rebuild their villages and replant their fields. In 1933 the village chief (Kukhaya) heard about the Iraqi army's massacre of the Assyrians of Simele and defensively prepared the people of Gonda Kosa, Gonda Naze and Hara Kunda Sindy for the expected Iraqi or Kurdish attacks on their villages. In order to better protect themselves the villagers abandoned Gonda Naze and Hara Kunda Sindy, and concentrated themselves in Gonda Kosa. With 90 households and over 100 men concentrated in Gonda Kosa and with each household fielding one British made Berna rifle the Gonda Kosans dug a series of defensive trenches along the hills surrounding the village and prepared to defend the village. A couple of independent Kurdish tribes sensing an opportunity to steal and pillage attempted to enter Gonda Kosa by first sending an emissary requesting the town's surrender. The defensive position and firepower of the Gonda Kosans convinced the emissary that the Gonda Kosans would put up a strong defense of their village. Unable to enter Gonda Kosa the Kurds burnt down the other abandoned villages of Gonda Naze and Hara Kunda Sindy. Having successfully defended their village the people of the two abandoned villages decided to form a defensive coalition against future attacks and raids. They decided to remain in Gonda Kosa, the village with the best defensive position, the best water and the best land of the three villages. After the 1933 incident the villagers lived in relative peace with their neighbors until the village chief was killed in 1969. Yacob Talia, aged 80 years of age was shot dead and his horse and rifle were stolen on the road to Mangesh. Weeks later Yacob Talia's horse and its new Kurdish owner were spotted by an Assyrian who reported the incident to the government authorities. The owner had recently purchased the horse from another Kurd. The Assyrians demanded justice from the Iraqi government. Unsure of the validity of the allegation government officials returned the horse to Gonda Kosa and explained that they would let the horse loose and see if it returned to its previous owner's house in Gonda Kosa. After letting the horse loose the horse went straight to Yacob Talia's house proving that the horse had indeed been stolen. With obvious knowledge of whom had sold the horse to the Kurd and with promises of justice, the government officials let the incident grow cold and eventually lost interest in the case. The killer was set free. Between 1970 and 1988 the Kurdish unrest in the area cut off Gonda Kosa from governmental control. During this time there were numerous Iraqi government air raids on the village which resulted in numerous injuries, but thankfully no deaths. The bloody Iran-Iraq war was the next major incident that was to affect the people of Gonda Kosa. Over 8 years of fighting saw an estimated 70,000 Assyrian men die fighting for a country in which their fundamental rights had yet to be recognized. Realizing the utter futility in dying for a war that would not benefit them the Kurdish and Assyrian political parties in North Iraq began an uprising in the mountainous areas of North Iraq. A handful of Assyrian patriots determined to die fighting for their rights also took to the mountains and joined the uprising. It was here that the Assyrian Democratic Movement (ADM - 'Zowaa') was born! During this brutal war numerous Assyrian soldiers escaped forced military service in the Iraqi army as well as the threat of capital punishment by fleeing to Gonda Kosa village. Hundreds of Assyrian soldiers seeking sanctuary spent years in Gonda Kosa. The town's population was swelled by the new arrivals and at its peak there were close to 300 households living in the village. Here the soldiers and their families were housed and given a plot of land to grow their own food. The soldiers also willingly joined ADM's freedom fighters in the guerilla war that they were conducting against the government's forces. Gonda Kosa was slowly transformed into a support base for the freedom fighters. The ADM also established a headquarters in the front-line village. The Iraqi government's one million strong armed forces at the time had their hands full fighting the three million strong Iranian army and could not put down the uprising or take control of Gonda Kosa village. Gonda Kosa's reputation as a sanctuary for escaped Assyrian soldiers and others fleeing Saddam Hussein's regime grew. The end of the Iran-Iraq war was to have dire consequences for the people of Gonda Kosa. In 1988 and two months after the war had officially ended Saddam turned his million-strong army North and began his infamous Anfal campaign in an effort to finally quash the Northern uprising. Knowing the Iraqi forces that would soon be arrayed against them, the villagers of North Iraq - including Gonda Kosa - began a slow trickling evacuation. The villagers escaped by night to the major cities, such as Baghdad, Mosul, Kirkuk, Arbil and Nohadra (Dohuk). Saddam's forces struck earlier than expected and began their scorched-earth policy against the freedom fighters and villages of North Iraq. Outnumbered, outgunned and with Saddam using chemical weapons in some places the defenders could not hold the Iraqi army and fell back conducting a skillful rear-guard action in an effort to allow the villagers to escape. The Iraqi army entered the abandoned village of Gonda Kosa and razed it to the ground. Its orchards filled with apple and peach trees were burnt down, its houses were bulldozed and its irrigation channels were broken up. During this campaign, and the ensuing chaos, 35 of the remaining villagers of Gonda Kosa were caught by government forces at Deri village on their way to Turkey. The men were separated from the women and children and disappeared within 3 days. The remaining women and children were taken to Baharke village where they were to be interred. Two weeks later they were also collected by Iraqi army trucks in the middle of the night and they also disappeared. None of the 35 men, women or children of Gonda Kosa were ever seen alive again. It has been correctly assumed that the people of Gonda Kosa were shot and buried in mass graves. In his rage Saddam had ordered the village and its occupants erased from history. In 1991, in the aftermath of the Gulf War, and after lying abandoned for 3 years a handful of villagers returned to Gonda Kosa with ADM support. Living in tents provided by the ADM the villagers slowly began to rebuild their village. 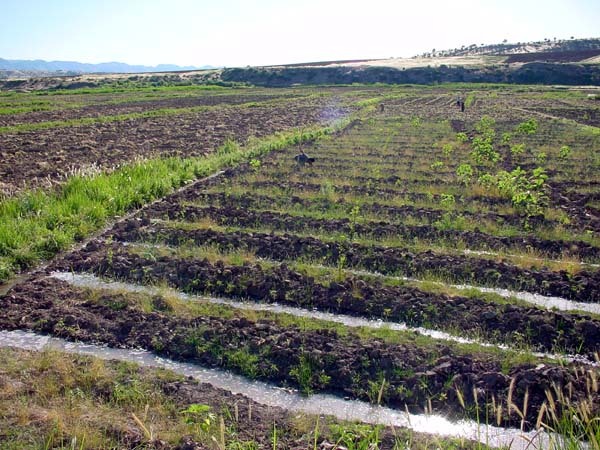 Between 1991 and 1992 the Assyrian Aid Society (AAS) reopened the old irrigation channel, sent seeds as well as tractors to assist the farmers in replanting their crops. In recognition of the terrible losses suffered by Gonda Kosans at the hands of the Iraqi government, the newly established Kurdish Reconstruction Organization (KRO) was next approached by the AAS. Using U.N. funds, it rebuilt 50 houses, one school and a water well in Gonda Kosa. With ADM support and AAS funds Gonda Kosa has slowly begun returning back to normal. The Food Aid Organization (FAO) was made aware of Gonda Kosa's needs by the AAS and they used Oil-For-Food money to build a 3.7 kilometer irrigation channel. Where they left off the AAS stepped in. The AAS built another 260 meter irrigation channel in Gonda Kosa supplying water to farmers for the growing of crops. Other support activities included a water pump, and the construction of a bridge and a dam. Today Gonda Kosa relies on the sale of tomatoes, rice, chick-peas, wheat and barley. In 1988, right before the dreaded Anfal campaign, the entire town had been covered by apples, peaches and softwoods. As a sign of rebirth and return to their village Dr. Ashur Moradkhan and his AAS supported Atra Project were the next to provide assistance to the village. Close to 3,950 apple saplings and 4,300 peach saplings were supplied to the villagers of Gonda Kosa at the start of 2002. These fruit trees will replace their destroyed orchards and provide the Gonda Kosans with a long-term source of food and income. The villagers have only recently been able to replant the long-term fruit trees as the Oil-For-Food program only recently provided the farmers with their basic food needs. With enough yearly crops for consumption the farmers can now focus on long-term crops such as fruit trees. Life has slowly returned to the village of Gonda Kosa. With the first village chief Yacob Talia murdered and the second village chief disappearing along with the other villagers during the Anfal campaign, today's population of Gonakosa which numbers around 125 Assyrians have appointed Khoshaba Abyubkhan as their new village chief. The small but cozy Gonda Kosa Syriac school boasts 13 students who are taught a purely Syriac curriculum by 3 Assyrian teachers. Although the majority of their Kurdish neighbors have lived side by side with the people of Gonda Kosa peacefully since 1991 there have been a few incidents with a handful of local Kurds. Following the covert prompting of the Kurdish Democratic Party (KDP), local Kurds eager for quick gain have used Mafia-style intimidation tactics in an attempt to scare off the Gonda Kosans and seize their lands. There have been 3 separate incidents in Gonda Kosa since 1991, but the people of Gonda Kosa have remained resolute to stay and live in their village. Gonda Kosa today still stands as a symbol of stubbornness against all opposition acting as an Assyrian sanctuary despite the numerous losses it has suffered throughout its turbulent history. With its dark history behind it the people of Gonda Kosa look forward to a day when they receive their full fundamental human rights and are allowed to live in peace with their neighbors. Although the AAS and other organizations have conducted numerous campaigns in Gonda Kosa, the village is still in need of the most basic infrastructure. a. Road - A proper road connecting the village to the main roads in North Iraq. b. Electricity - Only 5 of the 25 houses in Gonda Kosa have electricity. c. Tractor - A small tractor for farming is also needed costing $3,000 U.S. If there are people interested in assisting the people of Gonda Kosa or the other villages in North Iraq please join or contact a local chapter of the Assyrian Aid Society. You mail email this charitable organization at aas_i@yahoo.com. Alternatively if there are groups who are interested in raising funds for one, or more, of the projects listed feel free to contact us for further details. History or Legend: According to unknown sources the names "Kosi" and "Nazi" belonged to the two daughters of an Assyrian ruler of this region. The two Assyrian princesses were martyred during the massacre of Christians in the hands of the Sassanid Persians. Today, there exist two villages with the same names and in proximity of one another in the plains of Urmia, Iran. We, the undersigned group, want to inform you of our view on the political and general situation of the Assyrian-Chaldean-Syriac people in Turkey. We noted increasing concern regarding the historical sites of our people that are currently threatened or have been destroyed, as well as information regarding our peoples' properties that have been confiscated by the Turkish state. struggle to eliminate our cultural and religious heritage. The EU-candidature has not been able to persuade the Turkish state to stop this policy. Our hope is that USA as well as the EU demands that Turkey stop this policy, before all these places are leveled to the ground. The above list is only a selection of the churches and monasteries in the Tur Abdin area. All the churches and monasteries above are threatened with destruction if no one takes them under their protection. Should this continue, the 'Cradle of Civilization' in Mesopotamia will be erased due to this current, and unimpeded, Turkish policy. 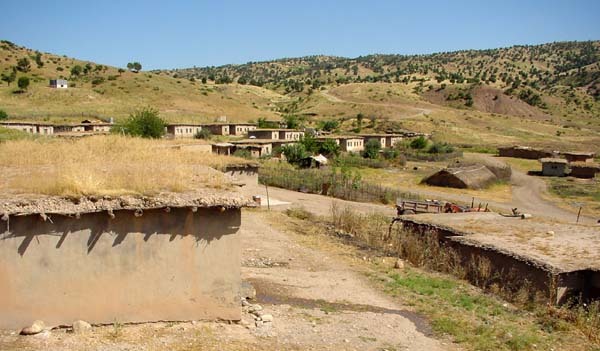 To illustrate the point even further, we give you the following list of villages and properties that has been confiscated and destroyed by the Turkish state since 1980. Gungoren (Keferbi), Elbegendi (Kafro tahtito), Izbirak (Zaz), Baglarbasi (Uranus), Narli (Ahlah), Bardakci (Bote), Baritone (Salix) and Karagol (Derkup). Bigotry, Gunyurdy (Marbobo), Gimeli (Gremira), Dibek (Badibe), Taskoy (Arbo), Guzelsu (Ihvo), Dagici (Harabemiska) and Ucyol (Sederi). 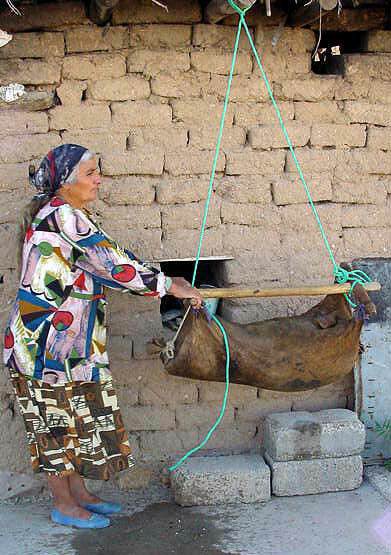 Sari (Sare) and Yarbasi (Esfes). Kosrali (Hassana), Aksu (Harbol) and Banyan. 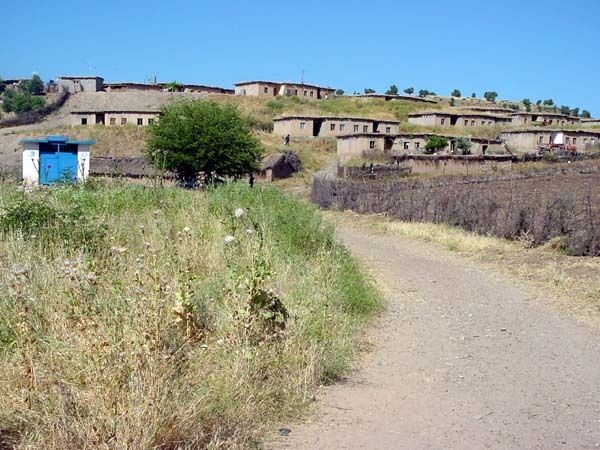 All the above-mentioned villages have been destroyed and the villages' properties have been confiscated by the Turkish state. 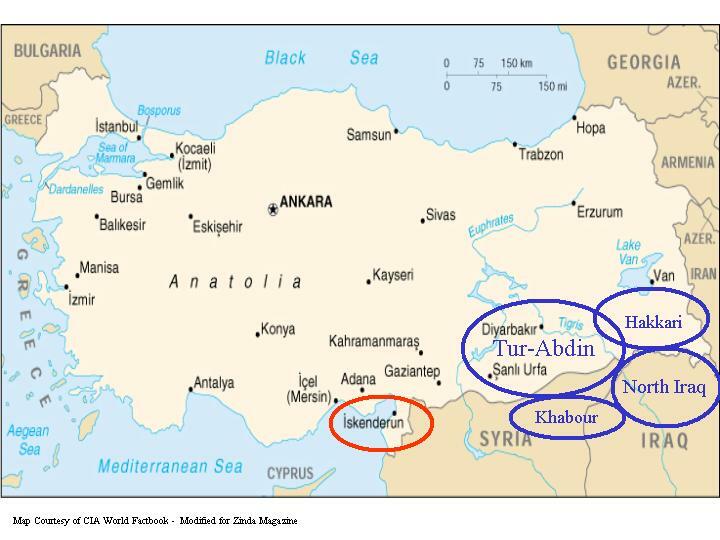 The population in these Christian villages has to no extent been involved in the on-going conflicts in Turkey. But the conflicts have been used as an opportunity for the Turkish state to destroy the sites and complete the purge of the Assyrian-Chaldean-Syriac population in Turkey. The following Assyrians-Chaldeans-Syriacs from the village of Sare have lost their property during these harassments and have also announced that they will take judiciary actions against the Turkish state. Their current countries of residence and names are given. Germany: Hanno Yildiz, Lahdo Altun, Demir Andraus, Barsom Ok, Yusuf Aransay, Cebrael Ersoy, Sehin Malke, Eksik Gevriye, Turan Aziz, Turan Dibo, Saliba Ok, Aslan Samy, Demirel Ibrahim, Kaplan Semun and Eyyi Hanna. Netherlands: Semun Sonmezer, Gecer Yusuf, Isa Gergin and Dogan Gevriye. This is a selection only from the village of Sare. The populations from the other destroyed villages also have the same rights to a legitimate claim. Almost all live in EU-countries today. The monasteries Dayr Zafaran and Mor Gabriel in the Mardin-district are incessantly threatened with closure by the Turkish state. Only international claims have until now stopped them from doing so. One bishop in the area, Samuel Aktas, is happy to be at the EU's disposal for meetings, and all other information concerning the threatened cultural heritage and confiscated property in Tur Abdin. As well as the above-mentioned concrete examples, a large amount of monasteries and churches have in the same way also been closed, destroyed or remade to mosques, in other districts, such as Siirt, Bitlis, Van, Hakkari, Urfa, Adiaman and Diyarbakir. The issue is of mortal importance for millions of Assyrians-Chaldeans-Syriacs, of whom 800 000 today reside in North America and EU-countries as well as in Australia. We look forward to seeing members of the US Congress, to bring these facts up in the coming negotiations with Turkish representatives and we also await your answer. (ZNDA: Istanbul) Turkish security police ordered a Protestant Christian congregation meeting for 40 years in the southeastern port city of Iskenderun to close its doors in mid June, declaring the church had "no legal basis" and that its activities were harmful to society. Pastor Yusuf Yasmin, 71, was served official notice by the security police of Hatay province to close and stop all activities of the New Testament Church in Iskenderun. The abrupt two-page order was dated and delivered on June 14 to Yasmin, who was ordered to remove the church sign and list of worship services from the building by 5:00 p.m. the same day. According to a copy of the directive obtained by Compass, the church was ordered to close "because your activities will incite religious, sectarian and dervish-order discrimination; will harm religious and national feelings; and will create offense in the society." Signed by District Security Director Salih Gokalp, the order declared that the church's location had not been approved in the municipal zoning plan and that no religious or other private education of any kind could be allowed on the premises without the express permission of the Ministry of Education. The church has met in its current location for the past seven years without previous complaints from the Turkish authorities. Rev. Yasmin and the majority of his congregation, averaging 80 to 90 worshippers at Sunday services, are Turkish citizens from a variety of ethnic Christian backgrounds. The Protestant church has met for worship in the city since 1963, although after its original place of worship was torn down in 1970, the congregation met in the church facilities of the local Armenian Orthodox Church for 25 years. In 1995, the congregation purchased and moved into its own church facility in Iskendurun's Piri Reis district, notifying local authorities on June 26, 1995, of the location and set times of worship, Bible studies and religious seminars. In compliance with local zoning regulations, Yasmin informed all the other owners of residences and shops in the building that his church had purchased Flat C to be used as a place of Christian worship. "None of them had any problem with this, and all of them signed the notarized forms giving their consent," Yasmin said. In an indirect admission, the police order acknowledges that "there is no provision in our laws concerning the construction and use of 'places of worship.'" But it goes on to insist that "it is not possible for places of worship to be built in random places" under the country's zoning laws. "We are not enemies of the state," a bewildered Yasmin said today by telephone from Iskenderun. "We love our nation. So why are they doing this to us?" After pastoring and preaching for 43 years, Yasmin admitted he had found it very difficult to be forbidden to worship with his congregation for the past month. A lawyer retained by the New Testament Church confirmed today that he is preparing to file a case later this week before the administrative courts on behalf of the Iskenderun Protestants to regain their constitutional rights to freedom of worship and religious activities. Iskenderun is located just 25 miles from Antakya (ancient Antioch), where the New Testament says Christ's followers were first called Christians. With a population of 160,000, Iskenderun still bears the name of its 4th century B.C. founder, Alexander the Great.
. are elements in the life of people which we need to understand." Only the bona fide pilgrim - or the foolhardy - would ever consider making the walk up to the Rabban Booya church in North Iraq's hottest month, July. Now, I'm not sure if I'm a genuine pilgrim, but I'm definitely foolish. With a heavy camera bag, black jeans and no hat, about the only thing I did right was to wear boots. It was midday on the 6th July, a day before Noosardel, and we decided we just had to see this marvel of Mediaeval Assyrianism, a cave-church perched high up a very rocky mountain. The area is full of history and stories. A Persian General named Qardagh is said to have hunted in Toora Kooma (the Black Mountain, or Mount Sephine in Kurdish). While hunting in these secluded mountains, no doubt teeming with more wild-life than today, he came across an old man in cave, an unusual sight given these mountains are so very hard to reach. The old man was Mar Odisho. The two became friends and Qardagh visited Mar Odisho a few times after their initial meeting. Mar Odisho then converted him from Zoroastrianism to Christianity. The two then prayed with Rabban Booya who lived in his own cave, "a few blocks" down the mountain. Qardagh was then martyred as a Christian - he was killed by the Zoroastrian Persians. It is said that when Qardagh had the unusual vision of souls of Christians (who he himself had killed) ascending to heaven on ladders, he asked that he be put to death. Our guides were Shlimon and Ninos, a member of the Peace Monitoring Forces in North Iraq. Ninos was particularly fit, and would have made the trip to the top in fifteen minutes if he were alone. Instead, it took us an hour with frequent stops. The walk is rough. They say it's even harder when there is a Shara (Assyrian Saint's day). Injuries have occurred as large numbers of people make the walk - and slip down. Fortunately, things have been made a bit easier ever since the Assyrian Aid Society, assisted by the man-power of Zowaa (the Assyrian Democratic Movement), financed the building of concrete steps on the last leg of the trip, probably the hardest.
. at a price." Rabban Booya expected something in return for the wishes he granted: a sacrificial lamb, for example. And the method of granting wishes was very Mediaeval. Just to the left as you walk in is a large rock, its surface perfectly flat and placed at a 45-degree angle. The upper surface is very shiny, as if it's been polished - and in effect, it has, by the bellies of countless women. Rabban Booya had kindly provided this stone, with its magical power of restoring fertility to those barren women who dared make the slide. Depending on the weight of the slider, about three strong men need to stand at the base of the rock to catch her - it's a fair distance to the bottom. Apparently, no one has been injured performing this custom. There are numerous stories of women who were childless for years and conceived a child after sliding. Or of women who only gave birth to girls, only bearing a son after they visited Booya. If you meet boys named Booya in North Iraq, chances are they were the result of a lot of faith, and a little slide. There are all sorts of these superstitions and rituals - which I have no doubt are based on pre-Christian, "pagan" rites - still very commonly practiced today. There is a strong connection between medicine and Syriac Christianity. Priests often took on the role of physicians. Rabban Booya was favoured by the infertile. Priests commonly wrote and sold amulets - and were paid for them. They wrote on scraps of paper, wood or clay pots that were later smashed. Their uses were sometimes most unusual: American missionary Justin Perkins was once dining with Mar Yohannan when a Moslem villager came and asked the priest for a cure - only, it was for his sick cow. Without delay the priest wrote an amulet for the ill cow (he was, of course, compensated for his hard work with money from his thankful client). Moslems and Christians have religious ties like this that are closer than I once believed. Unwell Moslems often visit churches to help cure their ills. When I visited the ancient Mar Bena church in Armoota, for example, a large group of Moslem Kurds were picnicking in the grounds in front of the church. A man, who could not walk properly without assistance, was there all day, praying and hoping for a cure. Another favourite way of calling on Rabban Booya's help is to pick seven stones, stand with one's back to one of the openings in the church and throw the stones backwards, hoping they'll all make it through - if they do, you're in luck: your wishes will be granted. Most people use seven rocks; someone described three. I'm not sure who is correct, but I'd bet the demanding Rabban probably would have preferred seven. The aunt of Patriarch Mar Shimun, Surma d'Bait Mar Shimun, was rather harsh in her assessment of practices like these, saying "no doubt it would be easy to find habits like this among the ignorant in every land." While ignorance may play a part, I also see them as carryovers from the days of our non-Christian past and an important reminder of who we are. We finally made it to the top. Rabban Booya chose his spot well: the view is glorious. The church is designed around the typical floor plan of Syriac Christianity, complete with bet-qanke, a grave and repositories for sacred relics. The only difference is that it's built around a cave. The entrance is a huge arched opening made of stone bricks. Time has worn the church down badly. The entrance, ceiling and walls are covered in Arabic graffiti. Candle wax covers a lot of the bare surfaces, making for an unctuous experience that can be dangerously slippery if you're brave enough to climb. Around the church are numerous caves used by hermits other than Booya. There is a water-well and holes in the rock-face for climbing, a sort of simple ladder. At the top of this ladder is a bigger hole, which housed a beehive. Honey was a precious food for the hermits. The descent was almost just as difficult as the climb. But once I reached level ground I felt it was all worth it. I'd definitely make the trip again. I may be more of a true pilgrim after all.
. I can't believe how far we've come in the last ten years!" he said. 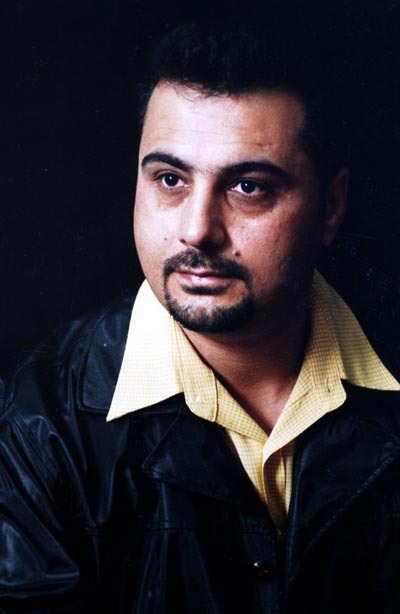 Moshe was born in 1970 in the village of Ain-Sifni in Nineveh, but spent the next 17 years in Nohadra, until 1991. After the Second Gulf War, Moshe finished an English Department Teachers' training course in Nineveh, then left for Australia in 1992 after escaping conscription in a worthless army fighting futile wars. In Iraq, Moshe took to singing early in life. His teachers were a positive influence. He sang in a Student's Union Band in Syriac, Arabic, Turkish and Kurdish. In Australia, it took a number of years before Moshe became financially secure enough to become a full-time singer. His first album was released after '98, when Mosh first staring singing professionally in Australia. Hemanta D'Yima, recorded in Sydney and arranged by Ishaya Nano and Steve Barkho, consists of ten songs produced by Moshe himslef. Diem, his second album, was sponsored by Nohadra Radio (established by Moshe's friend David Gewargis in '98) and again produced by Moshe and arranged this time by Robert Barkho.
. Especially after Zowaa's work, our nationalistic feelings are getting stronger everyday," Moshe enthused. "Nissibin school, for example, despite its deficiencies, is giving us hope for the future. Each Assyrian has the responsibility to help financially, in any way." And Moshe puts his money where his mouth is - he promised to throw two concerts back in Australia in the name of Nissibin School - all the profit will go to the school, which has a long wishlist. The Nissibin School in Dohuk has produced some fine graduates - among them are sporting champions Maureen and Evon Dawod, who recently broke records in the North Iraq "Olympics" held in Nohadra (Dohuk) on 9th April this year. The cities of Arbil, Shaqlawa, Soran, Margasor, Aqra, Zakho and Nohadra competed in the Games which include sprints, javelin, shot-put, discus and high jumps, among others. Maureen is only 16 and has won a long string of competitions throughout her short sporting career. The most impressive victory took place in Nohadra in April where Maureen broke an Iraqi record for high jumps - 1.4 metres. What's more impressive is that the record was unbroken for over 30 years - the last person to have jumped anywhere near 1.4m was another Assyrian, Anna Giwargis Malik Chiko, who jumped 1.3m way back in 1971. Maureen, in 3rd Grade at Nissibin, started playing sport in 1992 - basketball, handball and volleyball. She plays in the Nissibin School Team, where she is the captain of all three sports. She also manages to play for the local Assyrian sports club, the Sanharib Athletic Club. About 6 months ago, Maureen's team won the North Iraq Basketball competitions. So, I wondered, just how long has she been high jumping for? Considering she broke a 30-year old record, must have been for a number of years, at least. No, she assured me, it's just two months. Two months. "My dad encouraged me to try it out," Maureen smiled. "He saw that I was tall and thin and strong so he said I should give it a go." Daily two and a half hour training with rest on Fridays for a month, and Maureen was already showing signs of an up-and-coming champ. Training took place at the Sanharib or Dohuk Clubs with warms ups, stretching and graduated jumps onto thick mattresses. Technique is paramount. I thought jumping was simple - she made it look so easy. But Maureen stressed that you need to know exactly which body part to move when. And the results prove she's right. Just two months of physical - and psychological - training, and she'd taken home a trophy for Nohadra, the school and all Assyrians. Maureen's sister, 18-year old Evon Dawod, started playing the same sports at the age of 12. She represented Nohadra at the Games along with her sister, and broke records in shot-put and discus. Incidentally, the records she broke were her own, set last year. The discus was hurled 23 m 72cm last year, and 24m 35cm this year. The shot-put was lobbed 7m 70cm last year, 8m 35cm this year. In the javelin, Evon "only" managed to gain second place. With their winning performances in Nohadra, the sisters look set for the Tammuz Games in Urmia, to be held over 2 weeks in July. (ZNDA: London) Former Iraqi military officers and opposition groups met in London's Kensington Town Hall last week and asked the international community for help restoring democracy in Iraq and discussed efforts to topple Saddam Hussein. More than 200 people attended an open forum organized by the Iraqi National Coalition, a group co-founded by the Assyrian activist, Mr. Albert Yelda. The attendees discussed how to bring down Saddam's regime in Baghdad and secure democracy. ``It has been forced upon us to convene this meeting in exile and not in our beloved, beautiful Iraq,'' he said. The meetings were arranged by the Iraqi National Coalition Military Alliance and not the Iraqi National Congress, a London-based confederation of Iraqi opposition groups that has received $97 million in U.S. aid, they said. However, INC members including its head, Ahmed Chalabi, were in attendance. He said he hoped news of the meeting would bolster the hopes of Iraqis who wanted Saddam to fall. Also present was Prince Hassan bin-Talal of Jordan, who said he was there as an observer and did not represent the Jordanian government. He wished the gathering success and said he was pleased to see its diversity, a translator said. Prince Hassan and the remaining former Iraqi royal family members share a common ancestry stemming from the Faisal patriarchy of the 1920's. The Prince noted that "The people of Iraq themselves have to take their own decisions about their own future." Mr. Albert Yelda said the meeting would be the largest gathering ever of exiled Iraqi officers. He said they hope to unify those in exile and still inside Iraq in "establishing a democratic regime where the Iraqis, Assyrians, Christians, Muslims, Arabs, Kurds and Turkomans can live peacefully and equally.'' Yelda said some of the exiled officers participating in the meeting had escaped from Iraq within the past year, while others have been out of the country for more than five years. Soon after Washington's scrutiny of the INC's management of funds received through CIA, Mr. Yelda co-founded the Iraqi National Coaltion - an independent group which does not receive funds from U.S. Congress and the CIA. Representatives from the Pentagon were present, yet the United States did not support the conference financially. Bush, who seems focused for now on covert action, signed an order earlier this year directing the CIA to increase support to Iraqi opposition groups and allowing possible use of CIA and Special Forces teams against Saddam. If covert attempts fail, some expect Bush to try military action. London Times reported Friday that if the United States attacks Iraq, British special forces would participate by sabotaging Iraqi plants making weapons of mass destruction. The newspaper quoted a senior British military source as saying Washington has not formally requested British troops. The main military organizers of the meeting were Generals Tawfiq Yassiri and Saad Ubeidi, who have been active in opposition circles. General Yassiri and his units took part in the mainly Shi'ite Muslim uprising against Saddam in southern Iraq after the Gulf War of 1991 and later escaped to the West through Saudi Arabia. General Ubeidi was the head of psychological operations in the Iraqi army and has a doctorate in psychology. to root out the head of the regime and not the infrastructure or civilian targets." He was one of the attending Iraqi officers at this meeting. Mr. Albert Yelda was appointed by the Assyrian delegates at the Iraqi National Congress in 1999 (Assyrian Democratic Movement, Assyrian Universal Alliance, Assyrian Democratic Organization, & Bet-Nahrain Democratic Party) to represent the Assyrian coalition at the INC's Central Committee. The Assyrian National Congress was left out of such meetings, despite its founder Dr. Sargon Dadesho's efforts. On 15 June of this year-- two week's before the London meeting of the Iraqi officers-- General al-Salih's Free Iraqi Officers Movement and the Dr. Sargon Dadesho's Assyrian National Congress agreed on a common political agenda through a "Declaration of Confederation" (see Zinda's 1 July issue). INC = Iraqi National Congress, headed by Ahmed Chalabi. An umbrella organization consisting of many Assyrian, Kurdish, Turkoman, Shiite, independent, and military Iraqi groups opposing Saddam Hussein. This group is funded by the U.S. Congress via the CIA. (ZNDA: Detroit) Msgr. Sarhad Jammo, 61, the pastor of Troy-Michigan's St. Joseph Chaldean Catholic Parish, will be ordained the first Bishop of a new Eparchy in California on Thursday, July 18 in Detroit, Michigan. Rev. Jammo was appointed by Pope John Paul II in May of this year as the First Bishop of the new Chaldean Eparchy in California. The announcement was made May 21 in Washington by Archbishop Gabriel Montalvo, Vatican's apostolic nuncio to the United States. The new eparchy consists of the 19 westernmost United States: Alaska, Arizona, California, Colorado, Hawaii, Idaho, Kansas, Montana, Nebraska, Nevada, Oklahoma, New Mexico, North Dakota, Oregon, South Dakota, Texas, Utah, Washington and Wyoming. The territory was carved from the nationwide Eparchy of St. Thomas the Apostle, based in the Detroit suburb of Southfield, Mich. The May 21 announcement from the Eparchy of St. Thomas the Apostle said the creation of the new eparchy was "done in concurrence with the decision of the Synod of Bishops of the Chaldean Church" held last December in Rome. Bishop-designate Jammo, born in Baghdad, Iraq, March 14, 1941, was ordained a priest in Rome in 1964. He returned to Iraq in 1969 to serve as a parish pastor in the Baghdad suburb of Dora. In 1974, he became rector of the St. Peter Patriarchal Seminary in Baghdad. He moved to the United States in 1977 to serve the Chaldean Catholic community in Michigan. His first assignment was at Mother of God Chaldean Parish in Southfield, first as associate pastor then, in 1980, as pastor. In 1983, he became pastor of St. Joseph. During his tenure at St. Joseph, a new church building, social hall, meeting hall, rectory and office facility were built, while the old church was remodeled into a cultural center. When a U.S.-based Chaldean exarchate was formed in 1982, Bishop-designate Jammo was named its vicar general. In 1993, he was named a professor of Eastern liturgies at the Oriental Institute in Rome. He is currently a member of the Eparchial Liturgical Committee, and of the Joint Committee of the Catholic Church and the Church of the East. According to Bishop Ibrahim N. Ibra-him of the Eparchy of St. Thomas, the new eparchy will have about 35,000 Catholics with six parishes in California and Arizona. One Chaldean religious order, the Daughters of Mary Immaculate, has convents in two California cities. His Holiness Mar Raphael Bidawid I, the Iraqi-based Patriarch of the Chaldean Catholic Church and His Holiness Mar Dinkha IV, Patriarch of the Church of the East; Mar Bawai Soro, a Bishop of the Church of the East; several Catholic bishops and Chaldean Catholic priests will be attending the episcopal ordination ceremony in Detroit. (ZNDA: San Francisco) California's Union Safe Deposit Bank announced last week that it has promoted Ms. Monica Givargis to Vice President of Business Development. Ms. Givargis was recently with Wells Fargo Bank and will oversee the territory including Central California region where a substantial Assyrian population resides. Ms. Givargis attended California State University, Stanislaus in Turlock and serves on the Education Committee of the Assyrian American Civic Club and has been involved with the Manteca Chamber of Commerce and Manteca Crime Stoppers. She is married and has three daughters. (ZNDA: New Delhi) The Assyrian-Christian governor of a south Indian region, Dr. P.C. Alexander, resigned his post last. India's newspapers hail Dr. Alexander as the "Syrian-Christian" candidate, while India's Congress strongly opposed his candidature when his name was considered for the post of President. Mr Alexander submitted his resignation to deputy prime minister L K Advani. In his interaction with reporters after the meeting, the governor refused to divulge reasons for his resignation but made it clear that he was not in the running for the vice-presidentship. The 81-year-old former bureaucrat, who served as Principal Secretary to the late Indira Gandhi and Rajiv Gandhi, was the NDA's original choice for the President's post. The stiff opposition from several other political parties was also one of the reasons for the withdrawal of his name from the race. (ZNDA: Los Angeles) Police arrested two people last Friday after an early-morning pursuit that reached 110 mph on Pacific Coast Highway in Californa (Highway 1). Mr. Tony Younan, 20, of Rowland Heights and Vivian Gallegos, 27, of El Monte were held Friday on suspicion of felony evading. They could also face charges of child endangerment because Gallegos' 15-year-old sister was in the car, authorities said. The girl was released to her parents, officials said. Huntington Beach Police Lt. Bill Peterson said officers began tailing the car about 1:30 AM because a computer check indicated that the 1993 black Acura Integra had been involved in a domestic violence incident in El Monte, California. (ZNDA: Boston) With several dozen attendants to accompany her, and gifts for those on the other side, Lady Puabi departed this world in regal fashion. She made her final journey decked out in an elaborate gold headdress, a gold comb, large crescent earrings and a cape strung with beads of gold, carnelian and deep-blue lapis lazuli. No more than 5 feet tall, and only 40 years old at her passing, Lady Puabi clearly commanded respect in life - as demonstrated by her lavish accouterments and the lapis cylinder seal bearing her name. The inscription on this seal, as well as on those belonging to her retinue, was carved in the little wedge-shaped cuneiform signs of Sumerian, the first known written language. Now, 4,500 years after her death, Lady Puabi is the star of a dazzling exhibit at Harvard University's Fogg Art Museum through Sept. 1. "Treasures from the Royal Tombs of Ur" excavates an extraordinary culture from the so-called "cradle of civilization," Mesopotamia. 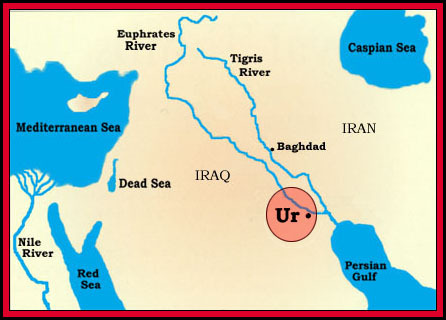 This land between the Tigris and the Euphrates rivers was at various points the legendary home of the Garden of Eden, the biblical patriarch Abraham and the epic hero Gilgamesh, in addition to historical figures such as Puabi and her fellow Sumerians. An urban culture developed in ancient Sumer in the third millennium B.C., thriving in such city-states as Ur. Inland today in what is now Iraq, Ur was in antiquity at the head of the Persian Gulf. From this ideal spot, agricultural exports could be shipped out in exchange for the imported gold and gemstones that delighted the illustrious Sumerians and survived to tell their story. Partly because of their intimate scale and partly because of their exquisite craftsmanship, the hundreds of objects on display have a stunning immediacy. Through eyes of lapis and shell, a silver lion's head engages the viewer's attention with its mesmerizing stare. Silver tumblers and a golden drinking tube evoke ceremonies and celebrations. Cosmetic powders, caked by age, still linger in conch shell containers. Elaborate game boards feature plaques of mosaic and incised shell, along with playing tiles resembling dice. Although far less notorious than the treasures of Tutankhamen, the royal tombs of Ur rank as one of the great archaeological discoveries of the 20th century. The artifacts at Harvard hail from the 1920s and 1930s expeditions led by Sir C. Leonard Woolley - who had, among his crew, the husband of Agatha Christie. In fact, Christie based her "Murder in Mesopotamia" on her experiences as a visitor to Ur. Mysteries continue to swirl around the sand-swept civilization, despite the wealth of material uncovered at the Near East site. Questions range from the customs and beliefs surrounding burial practices to the role of women within this very early society. Was Puabi a queen or a priestess or both? Would the combination golden tweezers-and-stiletto found in one tomb have been intended for use in the netherworld? Was the majestic bull-headed lyre, with its blue beard of lapis ringlets, an indication that music served as a link between the human realm and the divine? What sort of rituals required the many spouted vessels made of silver, gold and translucent calcite? Exploring the most distant past can also shed light on certain universal qualities of human culture. Whatever its original function, a finely sculpted statuette of a goat nibbling branches of a tree illustrates the age-old need to create things of beauty. A headdress' gold leaves engraved with tiny veins, a golden bull amulet and an inlaid vessel in the form of an ostrich egg reveal artisans carefully observing nature and abstracting its elements to make useful objects magnificent as well. Museumgoers need not understand cuneiform to unlock these ancient desires. Even thousands of years ago, those burying their dead were hoping their efforts would not go unnoticed. A Babylonian text from a little after the tombs of Ur pleads, "If ever, a long time from now, in the days to come, till the end of time, anyone should find this tomb, let him not destroy it. He should restore it. On earth may his name prosper! In the Netherworld may his ghost drink fresh water!" (ZNDA: London) Two 4,500-year-old gold head-dresses from ancient Sumer have been found in a store room at the British Museum where they had lain unexamined and wrongly labelled for 73 years. Recovered by British archaeologists from a giant burial site at Ur, now in southern Iraq, in the 1920s, they were wrongly described as "crushed skulls" when registered at the museum in 1929. It was only when experts from the Natural History Museum recently asked their British Museum counterparts to X-ray the skulls to establish the age of the victims that the head-dresses, with flowers and leaves made of gold and lapis lazuli beads mounted on silver combs, were revealed. "They are stunning, very colourful and delicate, and it is wonderful to imagine how beautiful they must have looked while they were being worn," said Alexandra Irving, a curator in the British Museum's department of Ancient Near East. The ceremonial headgear was part of an enormous find of human and decorative artefacts by the British archaeologist Sir Leonard Woolley at Ur. The site became known as the Great Death Pit. Sir Leonard found evidence of rich funerals. In exercises in mass human sacrifice, individuals were buried along with their attendants or servants. 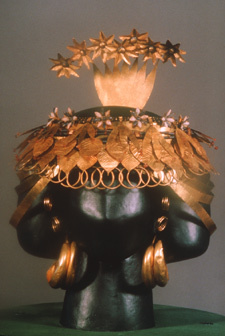 The two head-dresses were found in a tomb containing the remains of no fewer than 74 attendants, 68 of them women. Many of the skeletons went to the Natural History Museum while decorative objects went to the British Museum. Because so much material had been recovered, no one thought to look at the mislabeled head-dresses, which were covered in wax to prevent damage. The British Museum intends to keep the finds inside their wax cocoons. "The X-rays have told us everything," said Dr Irving. Please be informed that Bet-Nahrain Democratic Party, after its united congress held in April 1998, still remains united and leading the Assyrian national struggle. A traitor and renegade individual, who has no association what-so-ever with our party, and his cohorts in Kana's ADM will not succeed in defaming our heroic party. Their day in a court of law in the United States is approaching fast. The process has started. We can assure you and our people that at the end they will reap disappointment. BNDP is a legally registered Assyrian political party in the USA and several other countries, including in Northern Iraq. BNDP is one of the founders and ac active member in the Assyrian National Congress. In the past, several conspiracies were hashed against our party. However, all such conspiracies were defeated. In addition, in your last issue an Assyrian from Australia made personal attacks against a member of the Supreme Council of BNDP, Dr. Sargon Dadesho, accusing him of speaking on a television program "against" His Grace Mar Melis of Australia. This statement has no foundation at all. Dr. Dadesho and BNDP have the highest respect to our bishop in Australia. To Mr. "Youkhana", who made these unfounded accusation, we say: just the facts MAM. We urge our compatriots at Zinda to be more alert in the future. We thank you for your services. Recently, and in your prominent electronic magazine, Zinda, a filthy letter was posted undermining the heroic and unmatched achievements of our great Assyrian political party, Bet-Nahrain democratic Party, BNDP. Such individuals and collective groups (known as BNDP, IRAQ), are the apathy, and ill human denigration in our daily nation's history. Bet-Nahrain Democratic Party, the strong affiliate member of the Assyrian National Congress, ANC, strongly condemn all such childish atrocities and smearing cheap campaign undermining the achievements of such great Assyrian political icon. We the Assyrian people in general are very well in coherent and understanding fathomly of the situation of our daily political affairs. Those who are trying to attack our Assyrian party are ill-hearted, sick minded individuals whom failed to bring any type of recognition and success to their own derailed association in Chicago beyond being the earliest association in the United States, and yet still intrigued with financial corruption and mortgage burden. Yes, we are proud of our only Assyrian political party, well-known as Bet-Nahrain Democratic party, BNDP. Affiliate of the Assyrian National Congress, ANC and all their world achievements whether it is through its mass media, political affiliations, social events, and national struggle. I hope our party leaders approach such heinous attack in striping the offenders all out in a nice civil court suit to put an end to such ongoing childish behavior in the name of political maneuver. Well said Youkhana Brikha in last week's letters. I would like to ask a few more questions on the character of Sargon Dadesho. Is this man nationalistic or self-serving? 1. Sargon Dadesho claims to be the President of the Assyrian National Congress (ANC)? Is this organization representative of our people worldwide, or is it a front for Sargon's family and friends? Bet-Nahrain Democratic Party (BNDP) and the Assyrian American Leadership Council do not have a wide membership. They are an offshoot of Sargon's family (ie brothers) and friends. 2. Are our Assyrian people from Syria, Iran, Turkey, Lebanon, Europe, Australia etc well represented in an rganization that claims to be the Assyrian National Congress (or the Bet-Nahrain Democratic Party)? How widely is the membership base? Is it truly democratic when it appears to be Sargon, his brothers and friends that seem to run these organizations? Why do they not accept/respect other community leaders (including Senator Nimrod). Why do they (ANC and BNDP) take every opportunity to undermine other Assyrian organizations? Are they truly nationalistic in their actions? 3. Is it true that the assets of Bet-Nahrain Democratic Party and ANC are held in Dadesho's name? How much donations (monetarily) have these people/organizations made towards Assyrians worldwide (or have they actually made profits)? Are their aims and objectives just rhetoric? 4. Can Sargon Dadesho provide us with documentation to support his title as "Dr"? What is his field of specialty? Where did he attain his doctrate? There are so many Assyrian organization claiming to be representative of our nation without really obtaining such a mandate from our people. Everytime there is a rift in an organization, there tends to be a split and new organizations are born. Are the aims and objectives of these organizations to promote and further our nationalistic aims and objectives or to simply satisfy their leaders' personal goals. Unfortunately, Sargon Dadesho seems to place personal goals above the Assyrian cause and this problem is endemic in our people! How much longer are we going to let few opportunists dressed in black robes keep the Assyrian people divided? Haven't we had enough from such church representatives? Anybody who propagates Chaldean as a separate ethnic category is a traitor and a separatist. Anybody who propagate that the members of the Assyrian Church of the East are the only Assyrians is a traitor and a separatist. Anybody who claims that we are Arab Christians is a traitor and separatist. It give me such a somber feeling, fills me with so much grieve, and makes me so very very sad to see our people choosing the wrong options in issues that are so vital to our survival as Assyrian people. I just cannot understand why people of the Chaldean Catholic Church chose to listen to Fr. Sarhad Jammo or Bishop Ibrahim Ibrahim but not to nationalist like Yousuf Malek? Why would people of the Assyrian Church of the East listen to bishop Aprim Khamis, for example, but not to Raabi William Daniel? Why people from the Syriac Orthodox Church listen to Archbishop Clemis Eugene Kaplan, for instant, but not to Prof. Ashur Yousuf? What is it about Sarhad Jammo, Ibrahim Ibrahim, Aprim Khamis, Clemis Kaplan and others that make people listen to them? What is this monstrous thing that surrounds these clergy, which makes Assyrians hesitant from passing through and beyond such characters? Why is that we don't show appreciation to our giant forefathers like Yousuf Malek, William Daniel, Ashur Yousuf, and follow their heavenly teachings? Did these latter giants have to wear an expensive black robe during their time on earth in order to be appreciated today, read, and their holy messages followed? Assyrians from all denominations, whether Nestorians, Chaldeans, or Jacobites, MUST come together again, we must do whatever it takes to make this happen today. Lets leave the church and the clergy aside for heaven's sake. We have followed them for so long and we have yet to see productive fruits from doing so. Why not put Sarhad Jammo, Ibrahim Ibrahim, Aprim Khamis, Clemis Kaplan and others on the shelves for some time and give the teachings of Yousuf Malek, William Daniel, Ashur Yousuf and other nationalists a chance to blossom for a change? It is just a desperate plea from a simple desperate Assyrian who is looking for a better tomorrow for all Assyrians. I've been reading all the news that you published on your website periodically and one question still remains unsolved. What future will be better for Assyrians, a state together with the Kurds (where since 1992 many churches have been built) or a future together with Saddam Hussein and the dictator of the Baath party. Under the Baath rule many Assyrians have gone abroad to search freedom, and the division in many groups will lead to cultural annihilation into the Arab culture. It seems to me that the Kurdish rule (where 5 of 105 members of KRG are Assyrian) is better for all the Assyrians, which are considered to be Arabs and not an ethnic group in the Iraqi constitution. I also would like to know what Mr. Tariq Aziz is doing for Assyrian people and if he's an Assyrian since he's been in the Saddam Hussein government. Children are our future and the future of our children depends on their well-being and education. This is especially true in our homeland as the Assyrian children who grow up there are among the first generation of Assyrians who are taking part in the revival of the Assyrian language, culture, and heritage, since Assyrian is their primary language of education. Beth Mardutho: The Syriac Institute launched last year Project eBeth Arké: The Syriac Digital Library. The project bring out-of-copyright books, journal articles, pictures, and audio recordings to the Internet in an eLibrary form. The Syriac name of the library, eBeth Arké, literally means 'house of archives' and denotes a library. This is a Call for Institutional Participation, an invitation that grants libraries, seminaries, churches and cultural organizations full access to our entire collection. To become a Library Partner to the project, an institutions provides The Syriac Institute with a one-time negotiable modest grant to support the project. In return, participating institutions will be given full access to the entire library with free upgrades. We are a non-profit organization. Our financial model is simply to recover our cost. Much of the work is done by volunteers. Asia Pacific Theological Seminary (Philippines). The Catholic University of America (D.C.). Dumbarton Oaks of Harvard University (D.C.). For the past 12 months, we have been busy building a bibliographical database of books to be digitized including Bible editions, grammars, dictionaries, manuscript catalogues, monographs on all aspects of Syriac studies, and pedagogical books. The library will also hold digitized versions of manuscripts from private inaccessible collections. We are expecting that the library will have 3,000 holdings. During the first half of 2002, digitization of books began at various sites. The first version of the library is expected to be released at the end of 2002. The project was welcomed by many scholars and libraries worldwide. "How frustrating it is that important literature on Syriac studies is scattered over so many periodicals and books, with the result that even a good library like Oxford University's Bodleian Library does not cover anything like the whole range," said Dr. Sebastian Brock, reader of Aramaic at Oxford's Oriental Institute. 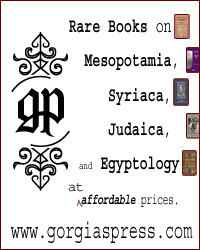 "To have all this material that is out of copyright collected together and made available in this way would be an immensely valuable service, not only to scholars working in this and the many related academic fields, but also to the wider public and above all, to people belonging to the different Churches of Syriac tradition," added Dr. Brock. The Institute is making use of the latest in eBook technology. Books are being digitized using high quality digitization equipment. The images are then converted into eBook form, and when possible Optical-Character Recognition is applied in order to allow readers to search the text. Links are added from the table of contents and indices to pages, making navigation a click away. A Web version is created to allow readers borrow (i.e., download) eBooks from any place around the world. Sample eBooks are now available on the Institute's web page. The scope of this project is not limited only to one readership. "The Syriac Digital Library Project," commented Prof. Susan Harvey of Brown University "speaks to needs shared by an entire spectrum, from scholar to interested reader, from student to one whose heritage this is. It is a worthy undertaking indeed." For further information, to read sample eBooks, and to support this project, please visit www.bethmardutho.org (click on eBeth Arké). Institutions interested in become a partner to the project are encouraged to contact the project's director, Dr. George Kiraz at gkiraz@bethmardutho.org. AllapTaw team is pleased to announce the regular monthly update of its site http://allap-taw.cjb.net ,which is the ONLY web site with ALL its material in Syriac. The full text of the drama (play) by Aadil Danno. Articles by: Addai Alkhas, Benjamin Arsanis, Yoau Benjamin and others. To display Allap Taw, you MUST have the Syriac True Type fonts King Hammurabi added to your system fonts. You can download the ZIP file as mentioned in the site or we can send them to you via email upon request. Summer nights in Baghdad. Boyhood friends would light small candles to dangle from kites they'd fly from the rooftops. Now 44, Adil relives his memories before a small gathering in a high-ceilinged church hall in wintry Melbourne. ``It was beautiful,'' he says softly during rehearsal for a stage production featuring asylum seekers that takes its title, Kan Yama Kan, from the Arabic for "once upon a time''. Adil, a slightly built man, takes us from happy times with 11 brothers and sisters to precarious years as a Shiite Muslim in Saddam Hussein's Iraq. He recalls the flight to Iran after his father's arrest and, after years in exile there, a 13-day voyage from Bali with 135 others on a 22-metre boat that was apprehended near Darwin in December, 1999. Once he was a thriving clothing importer. Now he faces an unknown future on the expiry of a three-year temporary protection visa issued after a year behind razor wire in Woomera. He is one of 11 refugees, several on temporary protection visas, hoping to convey some inkling of their plight by telling their stories in a show also featuring actors Alice Garner and Lisa Mazza. ``Maybe they will hear your voice and listen,'' says his compatriot, 35-year-old former primary school teacher Aowham Al Dujali, formerly detained at Port Hedland with her daughter Sarah, now 14, and 15-year-old son, Ammal. It is a chill afternoon. A small heater glowers high on a wall at the Uniting Church hall, where they are rehearsing for this week's show at the Trades Hall in Carlton. Aowham Al Dujali has been involved in writing for the project with others, including author Arnold Zable, Lebanese-born Ramez Tabit and Carmel Davies, who wrote and directed a previous production involving refugees, I Came without My Mother's Hand. Directed by Robin Laurie, the project is coordinated by the Fitzroy Learning Network, a haven to more than 200 temporary protection visa holders. Kan Yama Kan brings together tales of fugitive Iraqis, Afghans, Iranians and others with musical backing by a 40-member community choir led by singer-songwriter Kavisha Mazzella and Kurdish musician Dursan Acar. Among the participants is 29-year-old Michael Morton, a Syrian refugee who changed his name, Usama, fearing harassment after September 11. Another, 42-year-old Massood, a lawyer from south-western Iran, was jailed for two years before he fled. He was involved in a breakout at Woomera in the lead-up to the Sydney Olympics that was designed to alert the media to their plight. He talks of frustrations, such as the restrictions on travel, likening life in Australia to ``a big jail''. 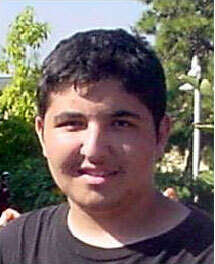 Once upon a time Aowham (pronounced O-ham) was one of six children of a prosperous Baghdad merchant. On holidays, they would accompany her father on business trips to Cairo, Hamburg, Teheran, Damascus, Kuwait and Delhi. ``Life seemed in that time an endless, beautiful journey which only stopped when school started over again,'' she reminisces. Then came eight long years when, she says, ``we felt even the sky is more red than it should be when the sunset came'' and further hardship ``when America gathered armies and weapons from all over the world against my people''. Mindful of the hazards of journeying to Australia, she tried to focus on the promise of a ``warm, safe, green land''. Her husband, Karim, a civil engineer, would follow and spend five months in the Curtin detention centre. Aowham and her children flew from Jakarta to Bali to Lombok, from where they set out on a boat with more than 80 passengers. Once upon a time her father had regaled her with stories about a big, winged Assyrian lion with a man's head that had been her people's protector since 3500BC. This week Zinda Magazine pays tribute to many years of hard work by thousands of Assyrian men and women who graduated from hundreds of high schools and universities around the world. Congratulations Class of 2002! Why are circles divided into 360 degrees? Even in these times of legally enforced metrication, time and angles continue to be reckoned in the same weird units used by the Sumerians more than 4,000 years ago. How it started is still debated, but one theory is based on the fact that the Sumerians used a base-60 arithmetic system (presumably because 60 has many factors, making it easy to divide up). According to the theory, Sumerian mathematicians discovered that a circle can be divided into six equals parts by getting the pair of compasses used to draw it and marking off points along its circumference at intervals equal to its radius. If each of these six parts were defined as 60 units, following the Sumerian arithmetic system, then a full circle would be 360 units - which we now call degrees. Another suggestion, put forward 200 years ago, links it to the calendrical "circle" of a year. According to this, Sumerian mathematicians noted that the number of days in a year is close to 360, another integer with an impressive number of factors. The awkward five days left over were then declared public holidays. Archbishop of Canterbury, England sends Mr. Athelstan Riley, a Masters student from Pembroke College at Oxford, (F.R.G.S.) on a journey to Northern Bet-Nahrain and Urmia in the fall "with a view to ascertain the present condition of the Assyrian or Nestorian Christians."